(NaturalNews) Like most people who have a higher health conscious, most vegans and vegetarians have a story about how they came to the decision to live their particular lifestyle. No matter your reasons, one of the challenges for non-meat eaters is making sure they get enough protein every day. But its not as big a deal as many think. Like most of the nutrients from quality food, a little goes a long way. Back in the hunter/gatherer days, primitive man ate a lot less meat – usually around 20% of his total diet – a far cry from how much the average American consumes daily in the 21st century. Protein is an essential nutrient that plays a key role in how our bodies function. But too much protein is associated with several diseases. It is more important to eat a varied diet than to isolate and focus on any one nutrient. As long as calorie intake is adequate, it can be easy for vegan diets to meet protein recommendations (http://www.vrg.org/nutrition/protein.htm). RDA recommendations for protein are from .36 – .45 grams of protein per pound of body weight, or about 15-20% of calories. That’s roughly 48-60 grams/day. 1. Vegetables – the proper foundation for all diets. 2. Legumes, also vegetables, get their own mention. Specifically lentils and beans, the foundation of many diets for centuries. 3. Nuts and seeds – a staple in most vegetarian and vegan diets. 4. Non-dairy milk – Soy, almond, ancient grain. 1 cup gets you 7-9 grams of protein. 5. Grains – Ancient grains, sprouted grains, multi-grains – a major part of the diet. • Quinoa is versatile and delicious. 1 cup – 9 grams. • Amaranth, bulgur, brown rice, wheat germ, oat bran are other grains with a high protein content. • Seitan, or flavored wheat gluten, has about 52 grams per cup, but it may not be a good idea to eat a lot of it. • Oatmeal – 1 cup = 6 grams. • Sprouted grain bread products – buns, tortillas, bread. Pack a sandwich or a wrap and you’ll get 7-10 grams from the bread alone. 6. Convenience foods: There are vegan protein powders and bars to fill in the gaps on the go. Hemp – 30 grams of hemp powder in your smoothie gives you 11 grams of protein. 7. Supplements – spirulina and chlorella are used often by vegetarians and vegans for their rich nutrient content, and protein content. There are lots of cookbooks and websites with meal plans and inventive recipes, including many on how to make traditional dishes substituted with vegan ingredients. Other topics often discussed regarding vegan diets include whether or not vegans need more iron or iodine. Requirements can be met without animal sources, but it is good to be mindful of it. Whether its a long term lifestyle or a diet for cleansing, eating vegan can be enjoyable and rewarding. As with any diet, it is possible to be an unhealthy vegan. 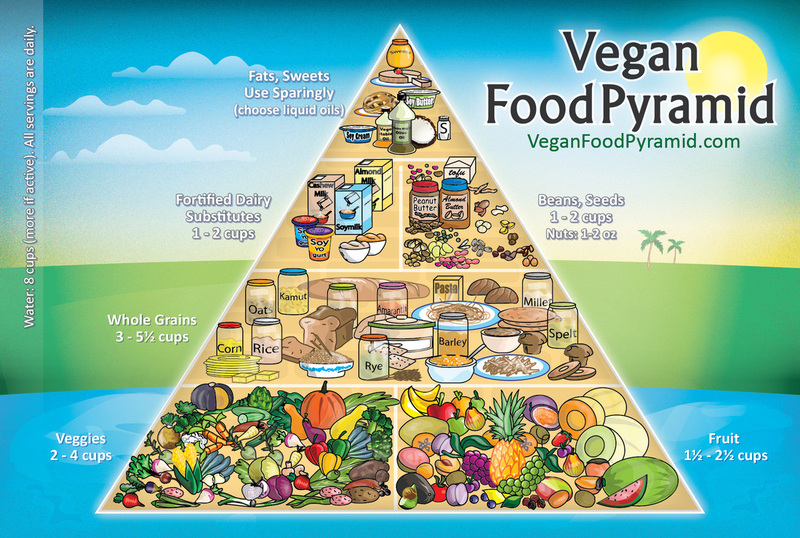 The best diets, vegan and otherwise, center around raw, fresh, organic vegetables. Many vegan’s stories begin with disease. They tried vegan to get better, and liked it so much it stuck.